Transforming your house in line with the latest trends can seem like a huge project, but it doesn’t have to be. Whether you just mix up your wall decorations, re-cover some furniture, or add key accessories, your abode can look fashionable in a few easy steps. What are the key trends of 2017? Not only are we going to tell you the looks that are set to stay hot all the way through 2018, we’re able to show you other ways you can improve your home as well. We’ve teamed up with some of our favourite bloggers to show you the improvement projects they’ve taken on in their homes. Over the coming weeks, we’ll update this page with their tips and guides, which should give you some inspiration for how to apply their ideas to your own space! Reflections, our Wallpaper of the Year 2017, has been setting social media alight, and for good reason. A key trend for this year is mixed textures to create a multi-dimensional living space across the living room, kitchen, and bedrooms. 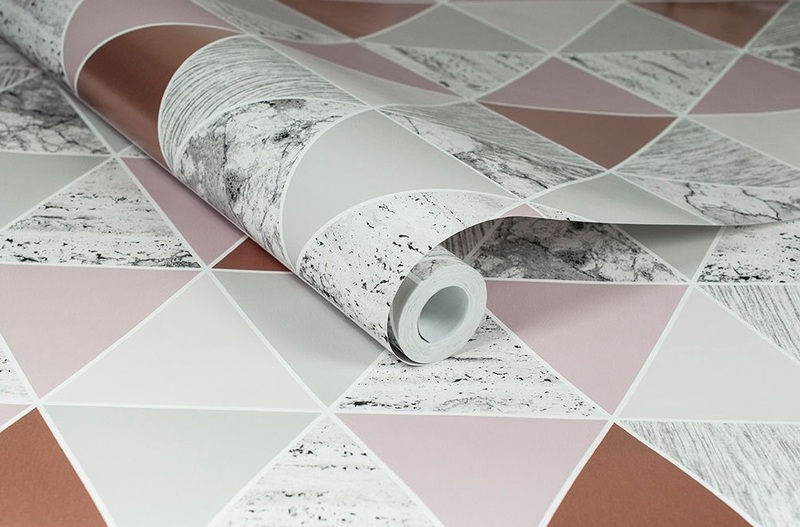 Our Reflections wallpaper takes three on-trend texture styles – marble, wood, and metallic – and balances with soft sorbet shades to tie the trio together. 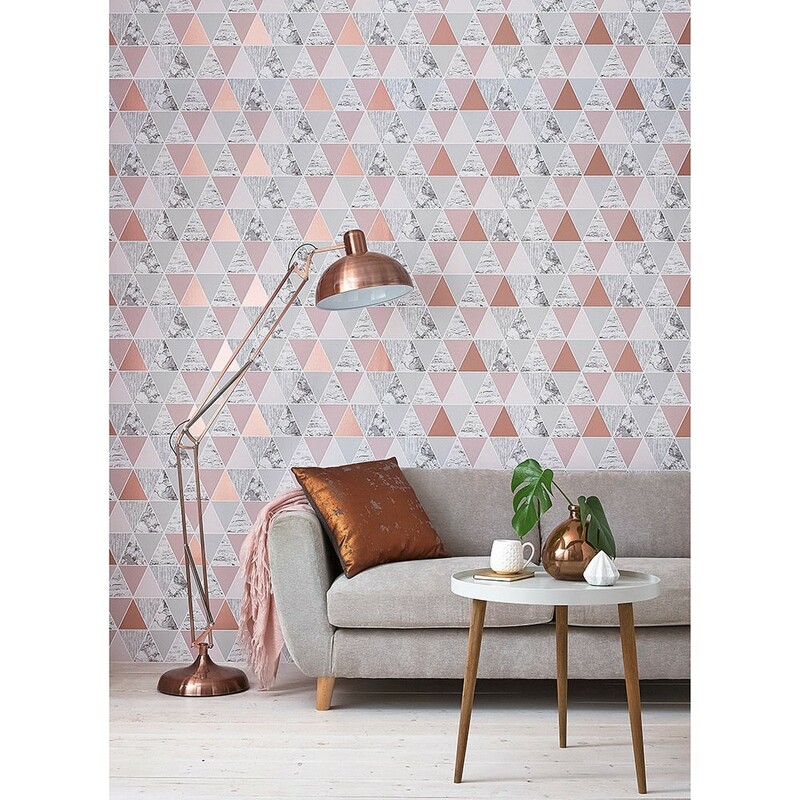 To work the wallpaper into your home, consider making a statement wall with the Reflections wallpaper, and painting the rest of the room with coordinating pastel paint. Alternatively, for the ultimate contemporary room, balance the Reflections wallpaper with another textured wallpaper, such as the copper shade from our Tranquil wallpaper range, for even more texture. Ombré, which is the French word for shaded, is the process of a colour adjusting in shade over one space. In other words, gradually going from one colour to another – like a red through to an orange on one wall. The style is popular in all elements of design, but for 2017 and beyond, you might focus on a deep ink blue transitioning to white. 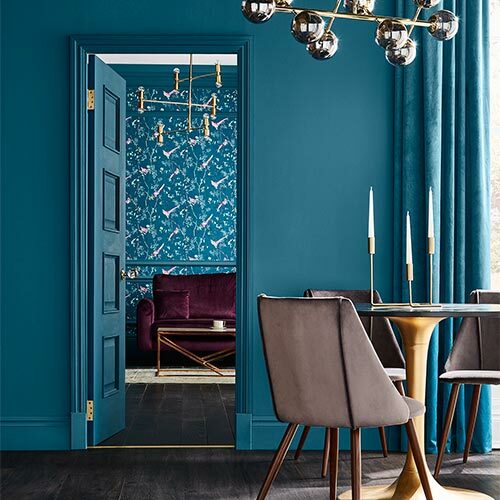 For lovers of the trend, display your ombré loudly and proudly across the walls of your dining room or living room. 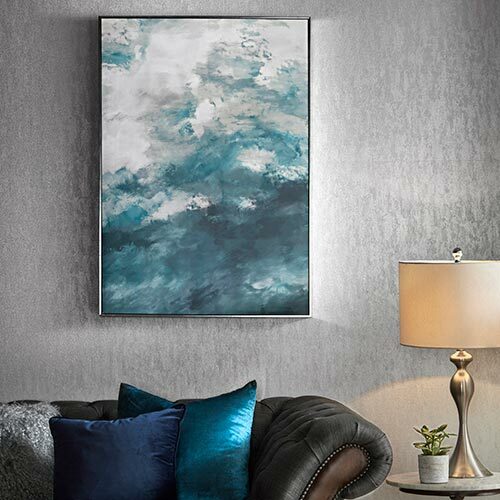 Our Ink Digital Wall Mural is one of the easiest ways to bring the look to your walls, and is applied quickly and simply using our ‘Paste the Wall’ approach. 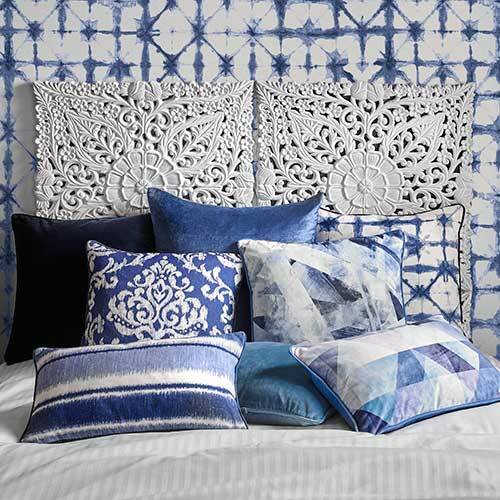 To add a smaller touch of ombré to your rooms, Ink Ombre Cushions are the ideal choice for lovers of scatter accessories. These elegant cushions are great for the living room or bedroom, and will ensure that your home looks in style without devoting your entire room to the fashion. Inspired by things like Pantone’s 2017 Colour of the Year, a calm green shade appropriately named Greenery, foliage is making a comeback in interior design trends. To achieve this look, leave the avocado in your salad, and instead opt for the brightest shades to feature in your kitchen and bathroom. 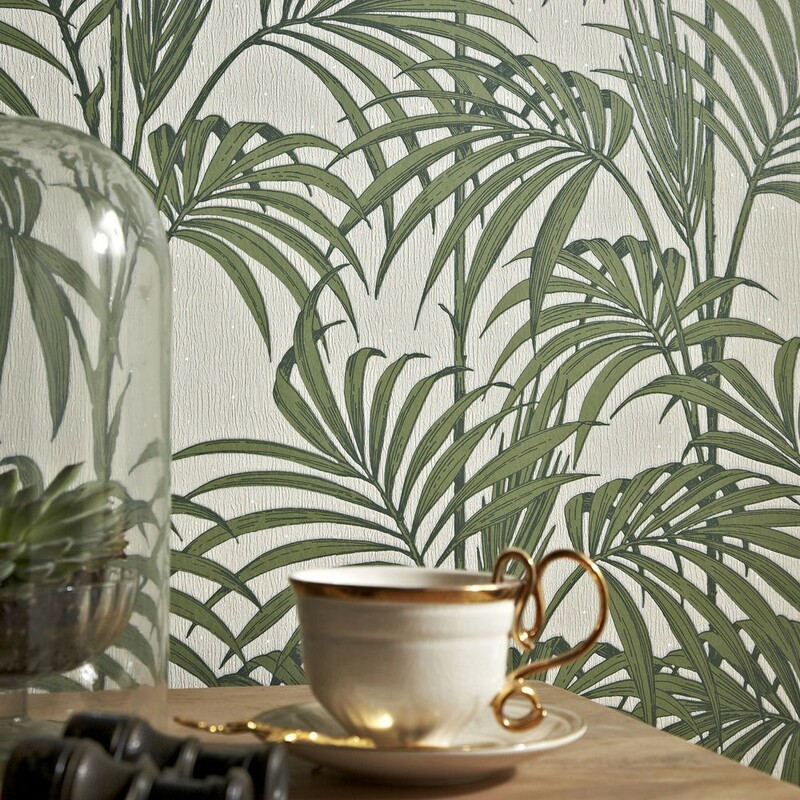 To achieve the look, Honolulu Palm Green wallpaper is our best choice for those who like their rooms bright and bold. 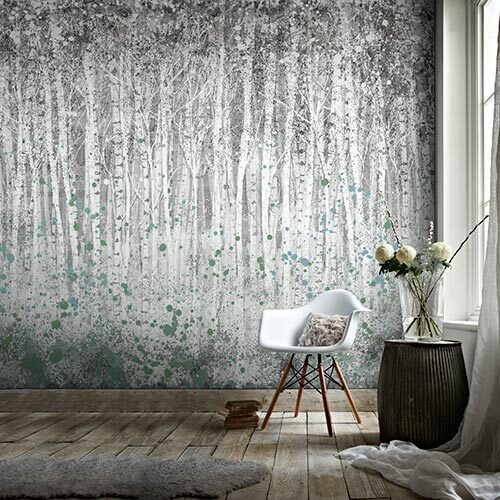 You can put this nature-inspired wallpaper across a feature wall, and flatter it with corresponding, tasteful green paint, or keep the room looking fresh with neutral white. For a smaller change, bring leafy plants into your home. Larger plants can feature in the corner of your living room and entry halls, while smaller shrubs will add vibrancy to places like your bathroom countertops. BKY Rouncefield is the blog for twenty-somethings carving their way in the world. Covering all aspects of life from work, style and home to lessons from social media and interior improvements. 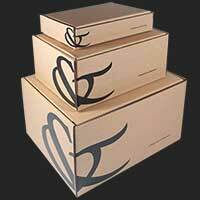 Ups, downs, paint colours and tales of life in the blogosphere can all be found in excess on BKY. 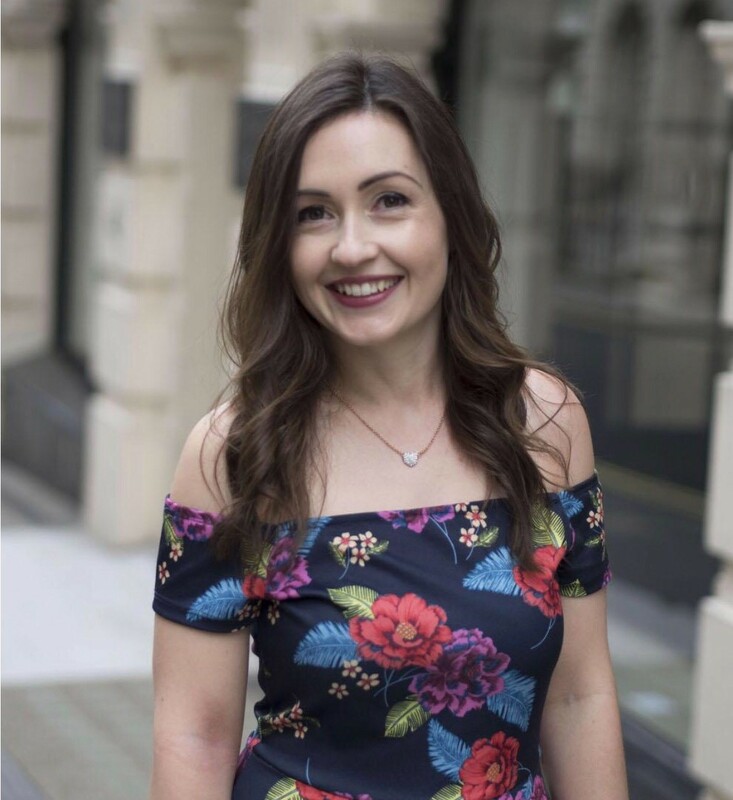 We spoke to 30 something lifestyle Loved by Laura, who told us “Instagram has become my main source of inspiration this year and two of my favourite accounts are @HannahFGale and @Kate.Lavie. Until this year I'd always been afraid to use pink but glimpses inside their gorgeous, ever evolving homes have given me plenty of ideas on how to combine it with other colours and textures to create a chic, boutique look. Most recently I've been experimenting with combinations of copper, gray and pale pink against crisp white walls and I'm on currently on the hunt for the perfect sheepskin throw to add a cosy element for the Winter months”. 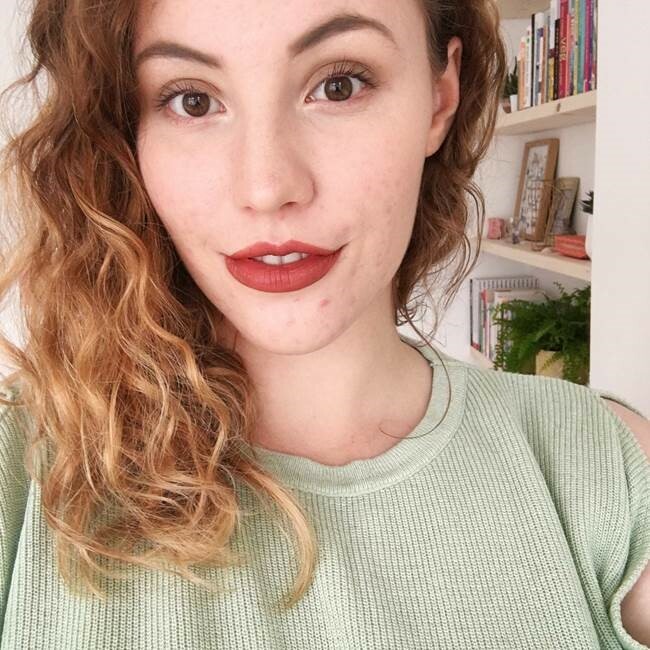 Check out her full inspirations blog here.